available in 1 , 4 or 6 channels. 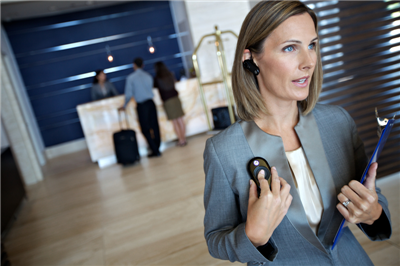 The slick, new CLP Two-Way Radio reinvents two-way communication for retail, restaurant and hospitality markets. 1 channel two-way radio from Motorola is perfect for small teams. The CLP 1010 comes standard with the Motorola CLP Swivel Earpiece, holster swivel clip and standard battery. 4 channel two-way radio from Motorola is great for businesses who need group communications. The CLP 1040 comes standard with the Motorola CLP Swivel Earpiece, holster swival clip and standard battery. 6 channel The CLP1060 is Bluetooth capable and offers maximum coverage for group communications. The CLP 1060 comes standard with the Motorola Bluetooth Pod With Earpiece, holster swivel clip and standard battery. Need more than 4 radios? If you're an exisiting account please contact us to place your order. Whether you’re in the restaurant, retail or hospitality industry, the Motorola CLP series offers staff a professional nonintrusive way to stay connected.